A book full of knowledge and know-how, Gotcha! demystifies some age-old mysteries and shows kids that it's easy to be a master of illusion. Doubting Dave and the Mystery Hunters take readers behind the scenes of the world's oldest and coolest mysteries. Then they show kids how to re-create those mysteries to fool their friends. This interactive book is also full of interesting and bizarre background information on each mystery. 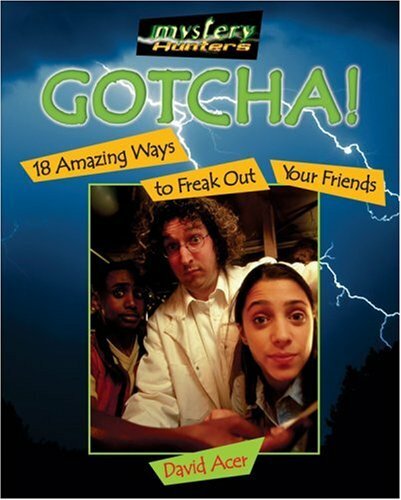 About David Acer (Author) : David Acer is a published author of children's books. 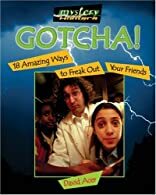 Published credits of David Acer include Gotcha! : 18 Amazing Ways to Freak Out Your Friends.